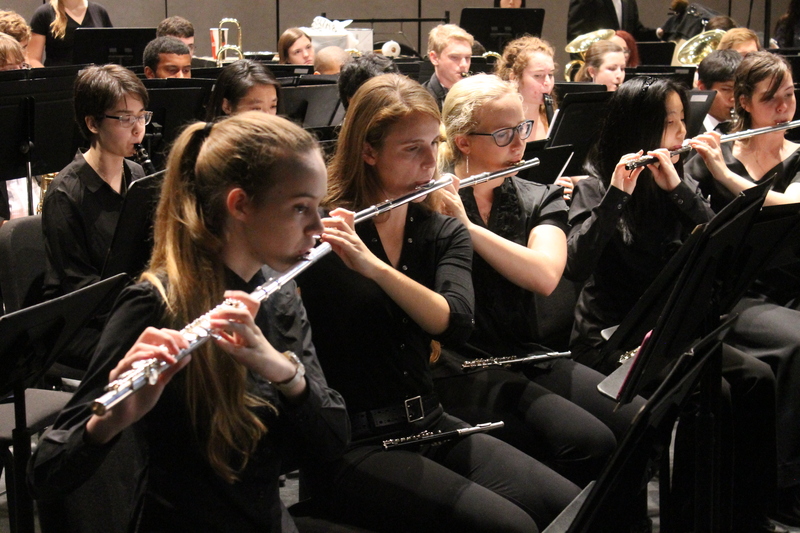 The Concert Band, under the direction of Benjamin Diden, consists of 55-70 players who perform the masterworks of wind literature designed for the rich sonorities of an expanded instrumentation. 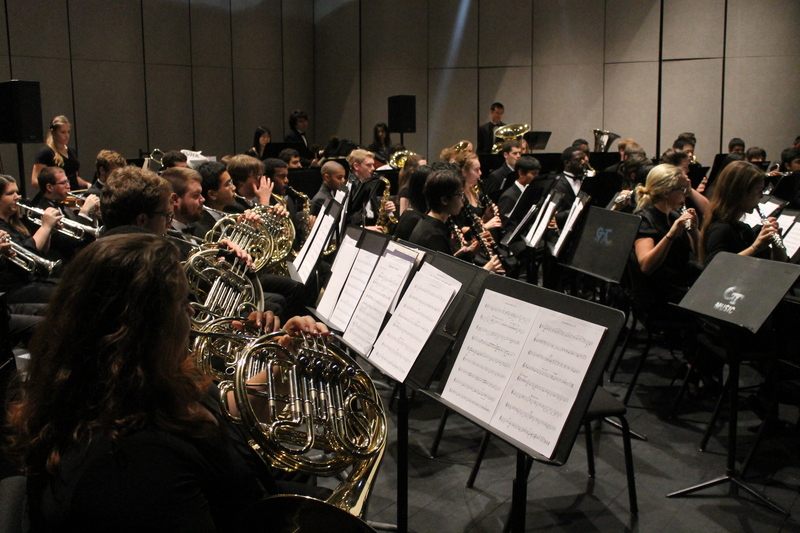 The Concert Band provides ensemble performance experiences in a wide range of musical styles and periods for all students at GT. The music performed in these organizations varies from semester to semester and is selected to provide a challenging opportunity for musical growth. By rehearsing and performing at the highest possible level of artistry, each student will be challenged to improve his/her individual musicianship and ensemble skills. The highest quality repertoire for wind instruments will be the core of the curriculum, allowing for a wide variety in the musical, educational, and philosophical foundations of the course. The Concert Band rehearses on Tues/Thurs between 3:00 to 4:15 PM in Rm 115 of the Couch Music Building. Please contact Professor Diden if you have questions about these requirements (benjamin.diden@music.gatech.edu). You may sign up for an audition time before classes begin. Sign-up sheets are posted on the first floor band board in the Couch Building. All students MUST sign up for the appropriate Concert Band, Symphonic Band or Orchestra class after auditions have been completed. If you are a new Tech student, you may register when you attend FASET (orientation). You should sign up for MUSI 3121 Concert Band. You will have an opportunity during the first week of classes to change your schedule. Students can earn humanities credit by participating in Concert Band, provided it meets the requirements listed in your Georgia Tech Catalog. For any questions, please contact Professor Diden (benjamin.diden@music.gatech.edu).